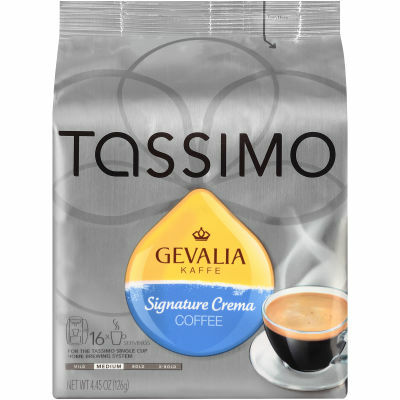 Tassimo Gevalia Signature Creme Coffee T DiscsThe most scrumptious and tempting coffee by Tassimo Gevalia introduces Gevalia Signature Creme Coffee T Discs for coffee addicts. The perfect lip licking creamer fusion infuse your day with freshness and novelty. The alluring and enticing rich flavor of the coffee blended and brewed precisely to deliver the outrageous aroma.A Kick Day StarterCappuccino Foaming Milk Creamer is a must have to start your day with brightness and sparkle. To lead a heavenly and divine day ahead, Tassimo Gevalia Gevalia Signature Creme Coffee is the necessity for a invigorating start.